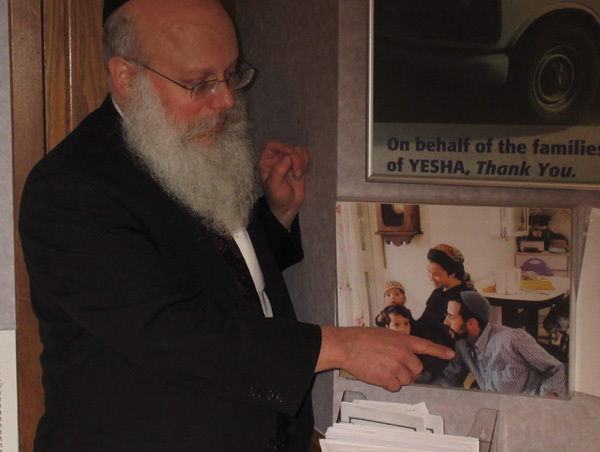 Rabbi Asher Herson points to a photograph of Yosef Twito on the wall of the Chabad Center of Northwest New Jersey in Rockaway. When Samantha Power, the United States ambassador to the United Nations, raised her hand to abstain from a Security Council resolution condemning Israel’s West Bank settlements, Rabbi Asher Herson and his congregants at the Chabad Center of Northwest New Jersey in Rockaway took the move personally. While West Bank settlements remain controversial in and outside of the Jewish community, members of the Chabad Center in Rockaway are strongly supportive, especially since its members began a close relationship with a settlement called Itamar in June 2002. It developed after Yosef Twito, a cousin of synagogue members Roni and Debbie Zarbiv, was gunned down by a Palestinian intruder during an early-morning raid on the settlement. Some 1,300 people, mainly Orthodox Jews, live in Itamar a few miles from the Palestinian city of Nablus. The settlement was established in 1984 by several families who had been connected to a yeshiva in Jerusalem. After a period of friendly relations with their Palestinian neighbors, violent attacks began during the second Intifada of 2002. Since then, at least 11 Jews, including Twito, and six Palestinians in the area have been killed, and several dozen others badly wounded. Twito was in charge of security at the settlement and heard gunshots coming from a nearby house, where the intruder had executed a mother and three children. Twito was shot after he tried to alert others of the presence of the Palestinian gunman. “The shots were very loud. They didn’t stop,” Atira Shamir, Twito’s sister, told NJJN in 2006. At the time Atira, who lives in Itamar, was in Rockaway with one of Twito’s daughters, Yardena, for the girl’s bat mitzva ceremony at the Chabad Center. However, his death was not in vain, according to his sister. “If my brother didn’t shout, the terrorist would have gone to other homes and killed more people,” she said. 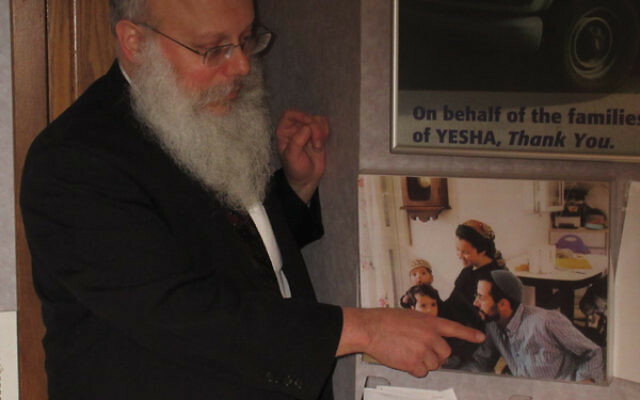 Asher Herson said that since the sister community relationship began in the wake of Twito’s murder, five families from the Chabad Center of Northwest New Jersey have visited Itamar. In particular, Lawrence and Helen Slavin, congregants from Rockaway, have maintained a close relationship with the Twito family, bringing donations from fellow synagogue members and having visited Itamar six times. “It is brothers and sisters reaching out to brothers and sisters,” Rabbi Asher Herson said. The members of the Chabad Center relied on a well-known Jewish dictum when they decided to host Yardena’s bat mitzvah back in 2006.